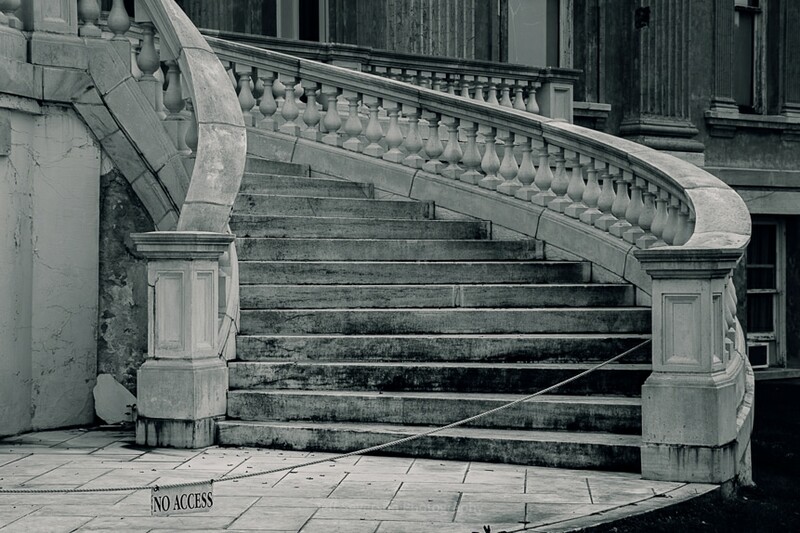 This monochrome photo is a shot of the back marble staircase at the Staatsburgh State Historic Site, formerly known as Mills Mansion, in Staatsburg, NY. The mansion was originally built in 1832 to replace an earlier house that had burned down. In 1895, Ruth Livingston Mills and her husband, Ogden Mills, remodeled and enlarged the estate. This photograph was taken with a Canon EOS 70D at 50mm and 1/25 second exposure.